hello & team Smg. friend I am using this phone features are good but battery backup is worst because battery 100% after some time show battery percentage is 80/ 82/ 79 kindly team Samsung look at the problem and short out. am using diz phn frm last July, it is da best of its kind..
bt since from last month am experiencing few problems wid my cell. 1st of all wen da charge of my cell goes as low as 30-20%, da battery starts draining 7 widin few seconds it reaches 1%. cn anyone help me out by informing what must I do...?? 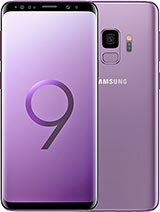 I LOVE THIS PHONE this is the best smartphone around its price.If you find any smartphone around 10,000 this is the best choice. It's a great phone and its user interference is smooth but will lag a bit if installed a lot of apps and battery is average. 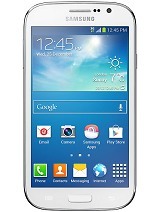 Although accept for those two things it's a very good phone. 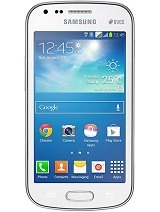 This phone offers a good 3G speed it offers a maximum of 2686 KB/s its full bandwidth . I am shocked this is a good phone as it supports real racing 3 , asphalt 8, Temple run 2, subway surfers can easily be played on this phone. I don't know why Samsung is not giving a kit kat update to this phone. gt-s7582, 06 Oct 2014This phone can play .frontline commando, gt-racing 2 , temple run 2 ,subway surf, . ...battery... moreIt currently does not support only gt racing 2 as it crashes in this phone. The phone has very poor life battery. Is not a good choice for those that need longer life battery (for photos, calls, internet browsing and many other daily tasks). Like somebody else said here, it needs daily charging even if the phone is in stand-by. The photo-quality isn't such good, but is acceptable for someone that doesn't manifest a real interest in making at least good-quality photos. 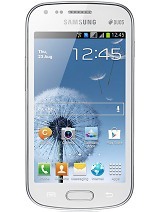 Good phone affordable price... u need to work on longer life battery as i have to charge daily even if not in use. Samsung Galaxy S7582 was a good samsung phone for its price on its release date. I have it for several months now. 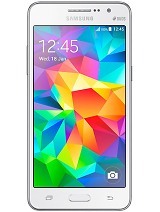 -A good midrange phone for its price. -Batter couldn't last 1 day in normal usage. Remove your google id in accounts. Restart your phone. Add your google id in accounts. Is it good if i trade my lg l3 II for this phone?